The city of Valencia has been designated as Spain’s 19th ‘Fair Trade City’, a designation awarded to cities for their promotion of fair-trade certified goods as part of the international ‘Fair Trade Towns’ movement initially launched nearly two decades ago in the United Kingdom. Valencia, Spain’s third-largest city, joins 18 other Spanish cities that have previously been recognized for their promotion of Fair Trade products, including Córdoba, Bilbao, Burgos, Valladolid, León, Madrid, Laredo, Puerto Real, Málaga and Donostia-San Sebastian. 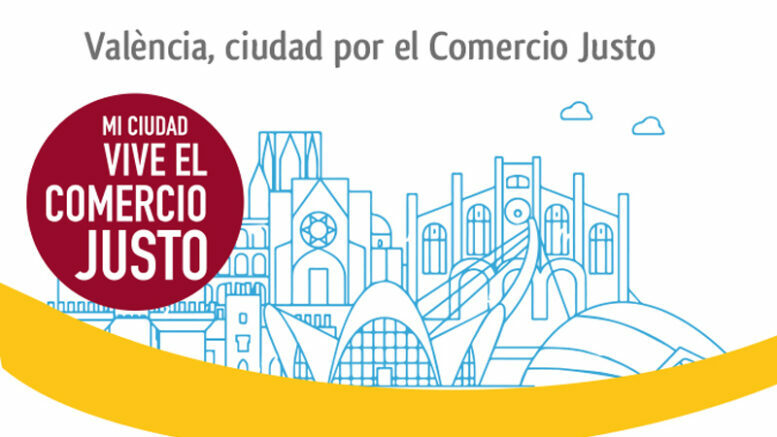 Also in the Valencia community, the city of Orihuela in Alicante province has been recognized as a Fair Trade City and Sagunto in the province of Valencia is in the process of obtaining the same certification. ► A city must establish a working group to coordinate the fair-trade program throughout the city. payment of fair prices and promotion of improved social and environmental conditions for small producers in developing countries who export their goods for consumption in developed countries. In addition to awarding the initial Fair Trade Town distinction, the campaign also awards the designations of Fair Trade City, Fair Trade Village, Fair Trade Zone, Fair Trade Borough, Fair Trade Island, Fair Trade Country and Fair Trade University. To date, the campaign has bestowed the fair-trade distinctions to more than 2,174 participants in 20 countries around the world.